Southern France, with its magnificent beauty, is one of the most popular tourist destinations in the world. There are many reasons why Southern France attracts travelers from all over the world: a city of love and adventure, museums, cathedrals or the dazzling bodies of water. Choosing where to go sailing in Southern France often depends on your sailing experience and what kind of spot you are looking for. There is nothing like the calm waters of the Mediterranean in the south that are great for experienced or beginner sailors who are looking to relax and discover the glamorous waters. It may be difficult to decide where to go sailing in Southern France. To help you decide where to spend your next boat vacation or holiday sailing in Southern France, check out these beautiful sailing destinations in Europe. You can sail off the coastline stopping off at the best spots in Southern France. So charter your huge yacht transport and sail off into the gorgeous bodies of water for adventure, exploring and relaxation. Sail away to the alluring coastal spots that Southern France has to offer for an experienced sailor. Sailing in France: Where to start? Southern France offers almost every opportunity available on water: sailing is one of those extraordinary opportunities. There is more to sailing in Southern France than cruising the French Riviera. If your idea of a perfect spot includes gentle cool breeze while seeing the visuals of the sparkling blue sea as your boat transport sailing the regions of France. Enjoy the splendid beauty of the different part of the French coast by visiting Brittany, with its dazzling sailing waters and beautiful offshore islands, its small quiet towns and large cities that dot the mainland coast. With that in mind, consider the south coast of Brittany for your next boat or yacht transportation charter. You won’t be disappointed. Explore the gorgeous coast as you sail from one marvelous but chic city to the next. Take your beautiful yacht or boat exploring the waters in the Bay of Biscay, the south Brittany coast offering the best European sailing season north of the Mediterranean. Sailing in Brittany is a great place to sail in season, with lots of on-shore attractions to explore and enjoy. The sailing grounds out of La Trinité-Sur-Mer as far as Belle-île present an amazing sailing experience.about all, you can cover on a one-week charter. If you are planning to yacht shipping to sail on the open water then île d’Yeu is the spot for you. Ile d’Yeu is a magnificent destination in itself. Another popular Brittany sailing charter destination is île le de Sein. You’ll have so much to see up there, but with some gorgeous but famously-tricky waters to navigate through for boat shipping, especially around île de Sein. If you love exploring and up for an adventure you’re likely to consider a journey that far northwest from La Trinité-Sur-Mer a bit ambitious. Any sailing expedition along Brittany’s southern coast should also include the îles de Glenan, a convenient half-day sail westwards from île de Groix and a good spot from which to see a bit more of the mainland. Another great spot for sailing is Bormes-Les-Mimosas, a beautiful Provencal village with the splendid natural scenery. This is a wonderful spot that is known for its full beauty for its forested mountains and extensive beaches that allow a wide range of watersports, but for its history as well. We guarantee that this is the spot for your sailing needs because it is surrounded by astonishing fortresses such as the historical fort de Brégançon, which has been the holiday home of the president of the French Republic since 1968. So now you know the best spot to go if you feel like starting off your sailing trip to the Côte d’Azur from a destination that meets the high standards of a president. In case we didn’t name all the best spots to sail in Southern France with our available shipping boats, you can explore many sailing destinations in Southern France. The beautiful Southern France sailing spots of Brittany, Bay of Biscay, île d’Yeu, île le de Sein and Bormes-Les-Mimosas. Nothing is more luxurious than a lavish and elegant yacht. Whether for charter fishing or family sailing vacations, these exquisite vessels are synonymous with true power and contemporary amenities. However, what if you need to ship your boat to a faraway marina or dock? It would be next to impossible to transport your yacht via road – unless it was a small cutter, speed or sailing boat. With this in mind, you need professional and cost-affordable yacht transport services. 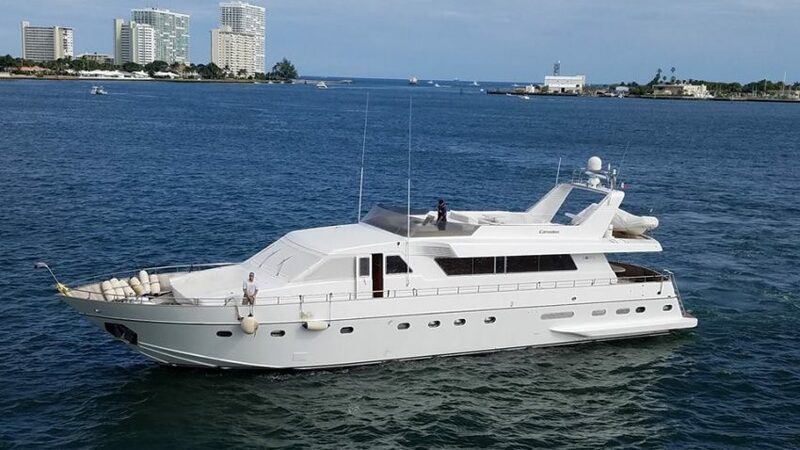 With years of extensive industry experience, United Yacht remains an industry leader in yacht shipping services for families and global companies. The team specializes in boat shipping for family vacations, corporate junkets, boat shows, and even for personal transactions and trades. United Yacht inspects each boat to ensure it meets all maritime shipping rules and guidelines. They also perform minor repairs, as well as abide by stringent safety rules to protect your vessel(s) en route to their destinations. They offer cost-affordable rates for shipping boats to and from North America, South America, The Caribbean, Europe, Africa, Asia, and Oceania. United Yacht is registered with hundreds of worldwide docks, marinas, and port-of-calls. This ensures hassle-free and smoothing boat shipping for all your vessels. The team specializes in towing and pulling, along with on-board carrier services for timely and safe yacht transportation. From large container vessels and luxury yachts to sailboats and cutters, United Yacht can ship any boat – to any destination – worldwide. United Yacht puts its heart and soul into everything they do. This includes complimentary consultations, along with free estimates on boat shipping costs. They also work with new and recurring clients to meet their yacht shipping needs within time and budget. As a mainstay in several boat shows and exhibitions, United Yacht is truly a well-known company that continues to grow and expand. With a strong social media and online presence, they also showcase the latest news and informative articles – blog posts at their site. This helps keep them in the loop on current boat shipping industry trends, as well as the latest developments on new vessels and services. Whether wishing to ship luxury yachts or boats, United Yacht can make it happen. They have the tools and expertise to safely and efficiently ship boats to global destinations. With a proven track record of success yacht and boat transfers, why choose anyone else when UY always get the job done? United Yacht always offers a comprehensive range of services to achieve all desired results. This includes pre-estimates on all boat shipping and transfers, as well as handling insurance and registration paperwork. Their highly-dedicated team is simply committed to excellence in all boat transfers – and their business continues to grow and expand across Fort Lauderdale and the world. For more information on luxury yacht shipping services, simply contact or visit United Yacht Transport today. Whether for family charter fishing or exotic vacations in the Caribbean, you can rely on United Yacht to get the job done right. All it takes is a simple phone call or visit to their site to access a myriad of boat shipping services and information. You can also check their social media pages for up to date information on boat shows and industry events. The tropical climates make great winter destinations. The winter months of December through February are the perfect time for yachts to head to warmer climates. Whether you decide to hire a yacht transport company or set out on the voyage yourself there are three destination sights you need to see. There is nothing like seeing the world and all of its magnificent beauty. There are many reasons why sailors travel from many destinations from all over the world. Choosing where to go during the winter months often depends on the weather and what kind of spot you are looking for. There is nothing like the calm waters of the Mediterranean or discovering the beautiful scenery of the Caribbean. It may be difficult to decide where to go. To help you decide where to spend your next boat vacation or holiday sailing in winter destination, check out these beautiful destinations from around the world. The islands of the Caribbean are undoubtedly the most popular cruising destination in the world, and this makes them an excellent yacht transportation location. This is particularly true of the Eastern Caribbean, an area which attracts a large number of cruising yachts. The popularity of the Eastern Caribbean should come as no surprise. Its winter weather is mostly mild, its trade winds are reliable and its facilities are being continually-improved. The Caribbean sailing season lasts from the end of November until June, by which time the prudent sailor should be on his or her way to a hurricane-free area. The weather during winter, particularly from Christmas until the end of April, is very good with steady easterly winds and not much rain. Usually, winds are NE at the beginning of winter and become SE with the approach of summer. The hurricane season lasts from June through November, the most dangerous period being from the middle of August until the end of September. The Caribbean is an excellent place to plan your next vacation, and United Yacht Transport would love to help. We are dedicated to providing our clients with safe, efficient, and reliable boat shipping/yacht shipping solutions. We are one of the most progressive and innovative in the yacht transportation industry. Our team constantly strives to exceed expectations with customized yacht transport logistics and solutions. Speak to one of our experienced staff for your boat shipping cost estimate or yacht shipping needs. The Sea of Cortez is a fabulous charter destination for many reasons because it is an amazing spot for sailing and marine mammal watching. 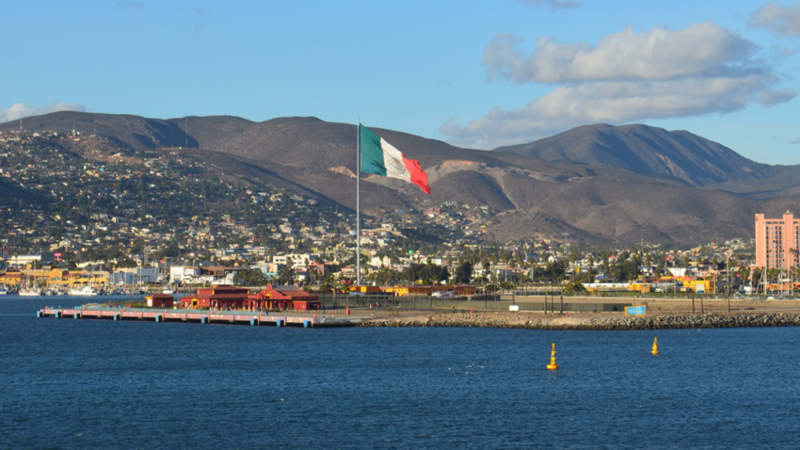 The sea of Cortez is relatively unknown as a charter destination, so you won’t find yourself crowded in by other boat transport. The winter month of December can be a really windy, but the months of January to April offer the perfect mix of temperature, weather, and wildlife. Pick a date during the months of November to June for beautiful weather and optimal sailing conditions. Southern France offers almost every opportunity available on water: sailing is one of those extraordinary opportunities. There is more to sailing in Southern France than cruising the French Riviera. If your idea of a perfect destination includes gentle cool breeze while seeing the visuals of the sparkling blue sea as your yacht shipping sailing the regions of France. Enjoy the splendid beauty of the different part of the French coast by visiting Brittany, with its dazzling sailing waters and beautiful offshore islands, its small quiet towns and large cities that dot the mainland coast. With that in mind, consider the south coast of Brittany for your next shipping boats charter. You won’t be disappointed. Explore the gorgeous coast as you sail from one marvelous but chic city to the next. Another popular Brittany sailing charter destination is île le de Sein. You’ll have so much to see up there, but with some gorgeous but famously-tricky waters to navigate through for boat transport cost, especially around île de Sein. 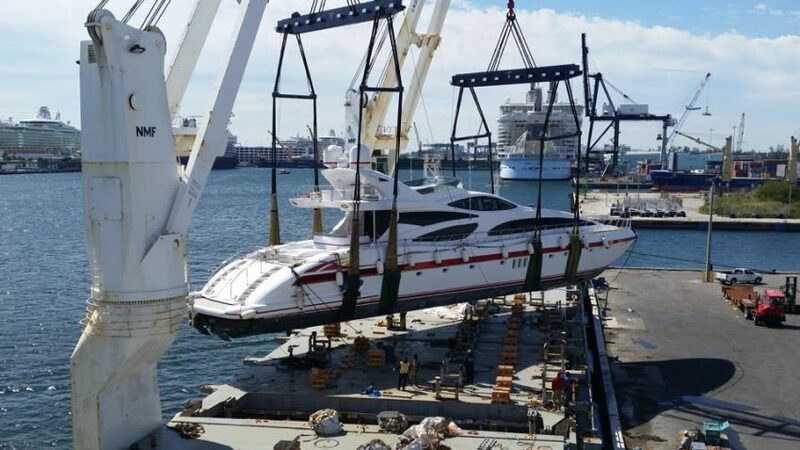 United Yacht Transport is a yacht transport & boat shipping company headquartered in Fort Lauderdale, FL. United Yacht Transport specializes exclusively in the transportation of yachts to any worldwide destination. This holiday charter season almost upon us, it is time to begin planning your perfect all-weather yacht to travel. We know of so many luxury yacht destinations to explore, we thought that we would take a look at some of the most exquisite destinations in the Caribbean that you could plan to visit this season on your yacht. Charter your luxury yacht through United Yacht, we will help you to organize the most breathtaking, unforgettable all-weather destination that you have had. We have chosen the best all-weather yacht Destinations in the Caribbean for super, fast-efficient and reliable yacht charters for you to choose from. From the lively shores of the British Virgin Islands, the crystalline waters of Belize and a natural wonderland of Grenada, to tiny coral atolls and uninhabited sandy islands – the choice is yours! We have a fantastic choice of luxury yachts available from sailing yachts, mega yachts and motor yachts we are sure to find the best suited to you this season. The type of yacht you choose for your luxury holiday Caribbean destination will shape the experience that you have, so it is important to understand what each all-weather yacht has to offer before you decide. Are you looking to sail to the Virgin Islands on your yacht? Motor yachts are the most widely available charter yachts and the most popular vessels for a luxury holiday vacation. Motor yachts usually feature more onboard space than sailing yachts and are available in a variety of shapes and sizes, though typically have a monohulled design. The Virgin Islands are considered by many to be the ultimate charter destination in the Caribbean for both sail and motor yachts. An archipelago of 60 islands and cays, including Jost Van Dyke, Tortola, Anegada, and Virgin Gorda, its famed turquoise waters offer the full range of charter yacht experiences: diving, fishing, sailing, and swimming, as well as unique onshore activities that cover culture, cuisine, history, and boutique shopping. A sailing yacht is a vessel which is predominantly propelled by wind power, offering the kind of romance and feeling of freedom associated with sailing the wide-open waves. Many are equipped with a low power combustion engine which can be used when conditions are too calm or when the vessel is to be maneuvered in and out of difficult anchorages. From luxury destinations in the Caribbean to sailing events across the globe, a sailing charter is a true yachtsman’s haven and an absolute must for anyone who admires the majesty of a sailing yacht. St Barts is a fascinating blend of Caribbean informality and French flamboyance, bursting with options for savoring the best in restaurants, bars, boutiques and culture in its capital Gustavia. Along with luxury villas, sophisticated waterfront resorts and an alluring nightlife, St Barts is just as blessed with unspoiled natural beauty in its deserted beaches, azure waters, and humble fishing villages. No matter which destination you pick, you’ll need a way of getting there. If you want to take your yacht, there’s always the option of yacht shipping. This simple process gets your yacht to your destination for you, especially if you go with us here at United Yacht. All you have to do is book your yacht online for shipping. Just pick your home and destination ports, and you’ll be all set. On the day, take your yacht to the port specified and we’ll handle getting your boat on the shipping vessel. Then, you just need to get yourself to your destination, and then pick the boat up when you get there! You’re all set for a relaxing, warm winter in your chosen city. If you’re dreading holidays this year, why not book yourself a holiday escape to one of these perfect Caribbean destinations? You can take in the sun while everyone back home is living with the cold! There’s nothing better than relaxing on a beach, knowing that you’re avoiding the bad weather back in your hometown. If you’re convinced, book yourself a trip today, and use us to ship your yacht to you. It’s the best vacation you’ll ever take. As a yacht owner, you enjoy the luxury of being on the open waters in your own time and at your own pace, enjoying the natural beauty all around you. It is truly an exhilarating feeling to have this kind of freedom that comes only with having your own boat. Now, you may wish to visit far away destinations and sailing your yacht by yourself may not always be a good idea. So what do you do? Hire a yacht transport company, of course! Even though transporting your boat may seem easy, there may be pitfalls that must be avoided. 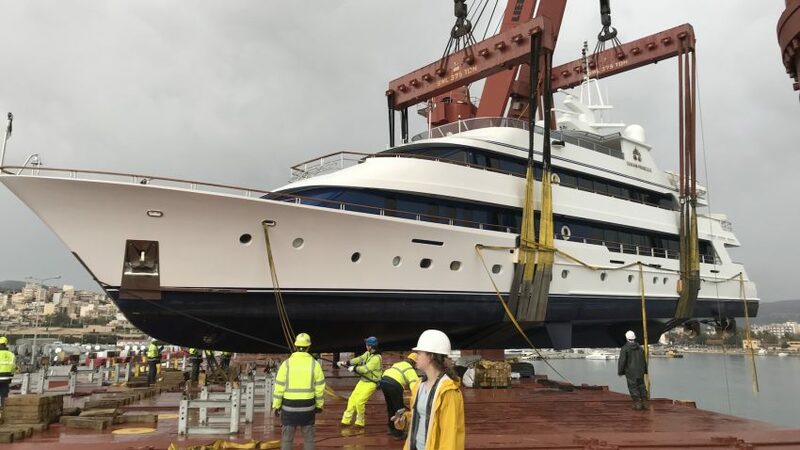 Here are some of the common mistakes to avoid when shipping your yacht. Get references and check them. Rather than going with an unknown transport company that you may never have used before, it is best to get and check references from owners of boats who have experience with the transporter. A big mistake is to solely rely on referrals from captains and brokers. 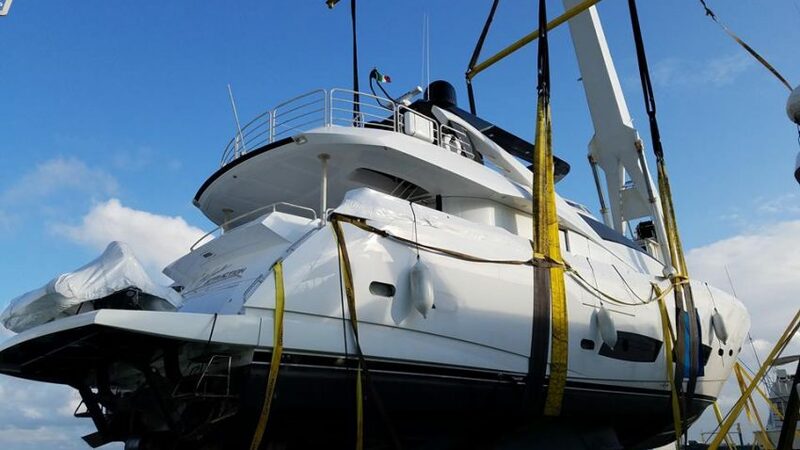 At United Yacht Transport, we have been transporting yachts to worldwide destinations for years and testimonials from many satisfied clients attest to our excellent service. Make sure the transporter has cargo insurance. Do not confuse carriers’ liability insurance with cargo insurance. Liability insurance protects the carriers if they are sued for a wrongdoing while hauling your boat. Cargo insurance is what protects your boat against any damage. Be sure to ask for proof of coverage. Also talk with delivery cruise beforehand to find out who pays for weather or mechanical delays. Knowing exactly the terms and conditions of the transportation will help to put your mind at ease and ensure a trouble-free delivery. At United Yacht Transport, we are happy to provide you with all details of your transport process. 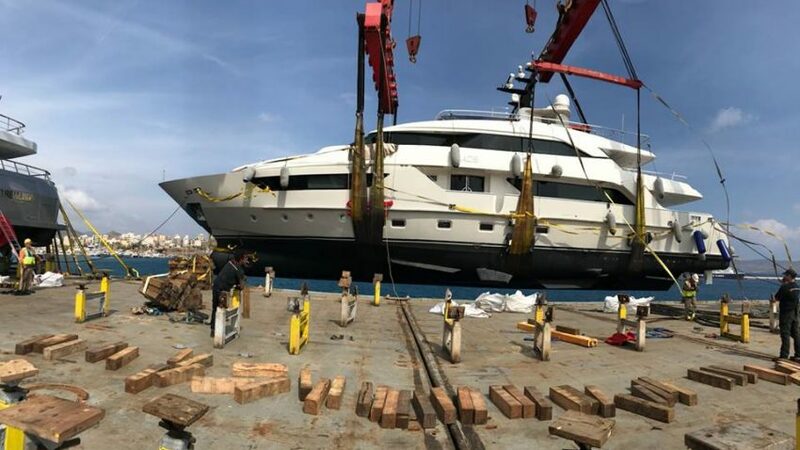 In addition, we handle customs clearance, marine slips, logistics, risk insurance, and more so that you have the best yacht shipping experience possible. We can also give you a free price quote for transporting with us. Have a professional crew prepare your boat for shipping. Before the trip, your boat needs to be in tip-top condition. Clean the bottom, change oil and filters, check safety equipment, and stock up on spares. After ensuring that the boat is in good condition to undertake its journey without any problems, added steps can be taken to make it stand up to any adverse weather or travel conditions that it may face. 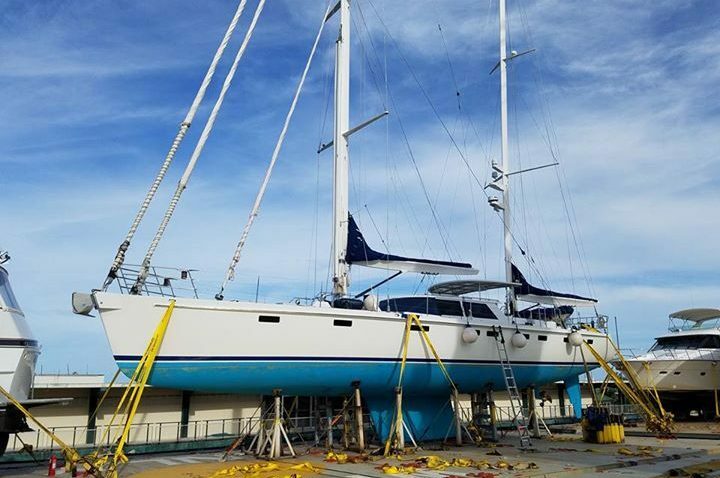 Shrink-wrapping the yacht, removing parts that may not fit easily in the available space, and winterizing (if needed) are some of the things that should be done. All this, and whatever more is needed, can be handled by a professional and knowledgeable crew. While this may seem expensive, and even unneeded, you will be surprised by how essential these preparations are and how they can go a long way in preventing travel damage to your boat. Schedule well in advance. Avoid the hassles of last-minute transporting by booking three or more months in advance. Sometimes, you may find savings of 15 percent or more by booking early. Last-minute bookings also come with the increased risk of schedule changes. So if your boat needs to be at a certain place and at a certain time, you need to make transport arrangements in time. Weigh the pros and cons of land versus water transport. One or the other mode of transportation may be suitable for your specific destination. It is best to look into pricing, the weather, schedules, and other considerations before deciding on the best mode of transportation for your yacht. If possible, you may also want to think about transporting one way and cruising the return. Shipping boats is not a simple task. Keeping the above considerations in mind can save you a lot of time, trouble, and money by having a worry-free and accident-free transport. United Yacht Transport is here to serve you with all your boat transport needs. 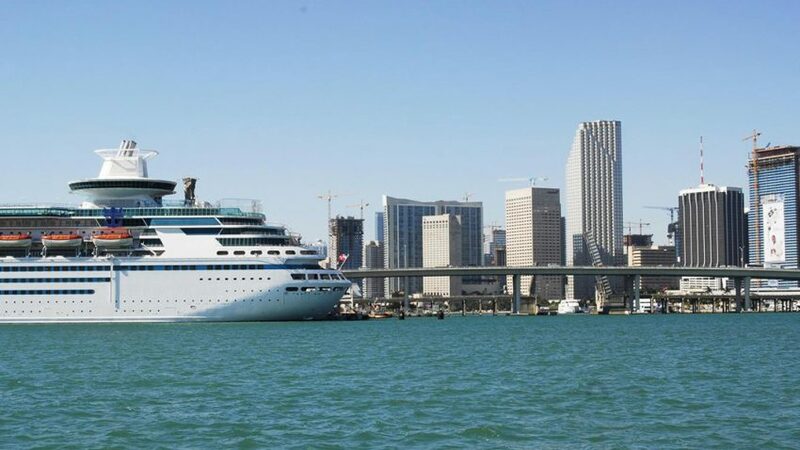 We pride ourselves not just on years of experience, but also for a team of dedicated and professional personnel, knowledge of local laws and conditions, scheduling custom voyages, and competitive pricing. Just call us today at 954-383-4448 to find out how we can help you. Cool temperatures, gentle breezes, sunny skies – the prescription for an enjoyable fall day at sea. We at United-Transport appeal to boaters to pay attention to three pivotal areas. Adjusting one’s own expectations regarding available resources is first on the list. Directly on the heels of that one are boat preparations. Third is personal preparedness. Recognize that fall’s shorter days and cooler temperatures do present different challenges than spring and summer sailing. Fewer boaters out there in the fall and many places reducing their on-water patrol presence off-season may put your vessel at risk if you normally rely on the safety in numbers. If things really begin to go south for your vessel, a VHF call on channel 16 will connect you to the coast guard directly who can launch a rescue. Set the accurate expectations for opportunity when out on the water in the fall. A summer routine may put a boat at risk in the fall simply because the days are shorter and night can come before it is expected and before a vessel is ready if proper expectations are not set in the planning. Short voyages are ideal for the fall and winter months but if a longer one is the desire of your heart, setting off in the pre-dawn can help make a better outing especially as the return journey ends and the wrap-up is not done in the bone-chilling darkness. Hence, all the more reason for vessel preparedness. Be sure the cell phone and the VHF radio are functioning as expected. Be sure the navigational lights work. Make sure emergency flares are not past their expiration dates. Waterproof flashlights and extra batteries will be useful to unload cargo at the dock, most probably in the dark. Make sure you know how to use the chart plotter and radar because visibility can become impaired quickly and unexpectedly in the fall. This is true even if you think you know the area where you are. And do not forget that fuel docks may close earlier or may not be open at all in the fall so assuming the ability to refuel for the return trip can also put a vessel at risk. As a matter of fact, for the sailor who wants to extend the season and enjoy the fall days, and maybe even the few yet wonderful winter days on the water, topping off the fuel tank and water supply at every opportunity is highly recommended because one never knows the conditions one will find at a fueling dock when the weather becomes cold. The cooler the temperatures the more energy is needed to start a diesel engine so be sure the batteries are in good shape and even taken home to recharge intermittently. If the boat is left floating on salt water, water lines are less likely to freeze but anti-freeze precautions are likely to suffice. In a really cold snap prediction, antifreeze in the main water line can cause the mind. The last expectation point is to check the weather before leaving and throughout the voyage. Weather conditions on the open sea can change quickly and can become threatening quickly in the fall. Personal preparedness means bringing rain gear. One is not dressing for the inland warmth but for the cooler temperatures on and in the water. Storms can develop very quickly and unexpectedly on the open sea during the fall so one wants to be prepared. Preparedness also means bringing an extra layer of clothing. The water temperature decreases every day in the fall so an unexpected fall overboard can create an immediate risk of hypothermia. Children under age 12 must wear a life jacket but adults are strongly encouraged to wear them too in the fall, especially at night. Spend the money for life jackets with lights attached so that rescuers can find that on-board at night. Insulated gear and gear that remains afloat are available. If the bedding is left onboard for quick departures, mold and mildew can be avoided by using vacuum-sealed bags. Call us at United Yacht Transport with any question. If you’re planning a winter break this year, a trip to the Med could be just the thing. The weather will be just pleasant enough for you to enjoy it, and you’ll get to see a whole host of beautiful countries as you travel. If you travel in your yacht, then it’s even better. You can sail the coastlines, exploring the area at your own pace. Here are some of the best tips for planning your Mediterranean vacation this winter. The joy of the Med is that there are so many countries that you can plan to see during your vacation. Before you go, make a list of the places you really want to see. Some planning will be needed if you want to fit it all in. Think about what you want out of a vacation. Do you want to see the sights? Do you want to sunbathe on beautiful beaches? Do you want to be active and do exciting activities? Factor all these things in when you’re thinking about where to go. 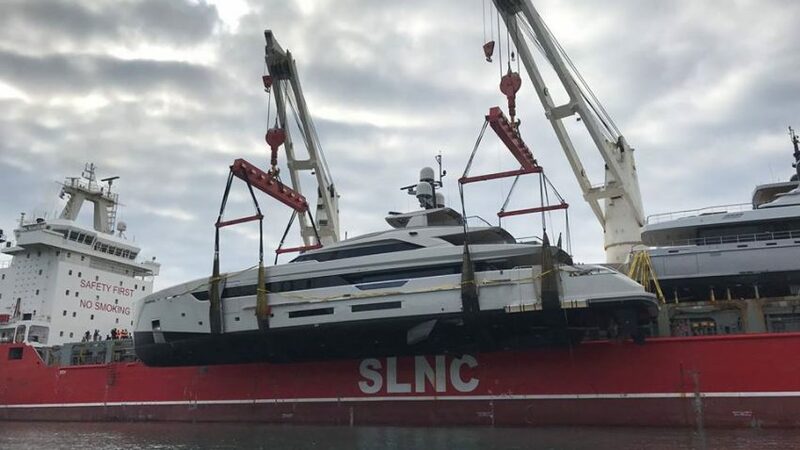 If you have your own boat, you really should think about yacht transport. You can get your own boat over to the Mediterranean without any hassle at all. 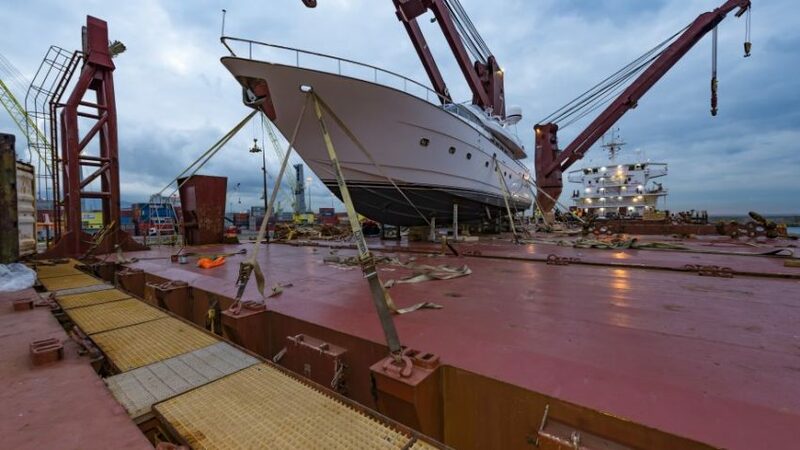 If you’ve never done it before, yacht shipping is done by placing your boat on a specialized cargo ship and literally shipping it over to the country of your choice. Having your own boat with you makes transport a whole lot easier, and much more scenic. If you’re looking to attend as many local festivals and celebrations as you can, start looking at local calendars now. They’re a brilliant way to get to know the locals and have an authentic experience in their country. If you’d rather avoid the crowds, then learn the dates anyway. They’ll tell you when to avoid certain areas! The temptation with a trip through the Mediterranean is to rush it and squeeze everything in. You’ll see more countries, sure, but you’ll hardly experience anything. Attempt to spend at least two nights in any destination. That way, you’ll really get a feel for the area, and you’ll get more out of your trip. Remember, you don’t want to come back so exhausted that you need another vacation to get over it. When you head to the Mediterranean, you’ll see that there really is something for everyone there. A good way to plan your trip is to match your destinations to your interests. For example, if you love Renaissance art, then you really have to visit Florence. If you’re into big cities, try Rome or Venice. If you want to get off the beaten path, visit Bosnia or Morocco. As you’re traveling, you’ll come across countries that are less politically stable than your home country. This isn’t a reason to avoid them, but you should certainly be aware of them. Before you travel, look up any local laws that you’ll need to be aware of. It may be something very simple, such as women needing to cover their heads in public, but make sure you abide by the rules. The last thing you want is to run into trouble on your vacation. Lots of people take their ‘once in a lifetime’ trip to the Mediterranean, only to return again and again. No matter how long you travel for, it’s impossible to see everything. Make your plans and think about what you want to see, but remember that you’ll probably end up going back. That way, you can feel a lot more relaxed. Hopefully, you’re now inspired to book your boat transport and get ready for a vacation in the Med. These tips will help you get the most from your travels. Bon voyage! Enjoying time on your valuable vessel is one of the greatest benefits of yacht ownership. While sailing the world is an exciting idea and is much looked forward to by yacht owners, there are many things they must consider to ensure that they are protecting their valuable investment. 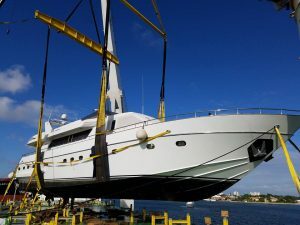 Yacht transport is always one option for these owners providing a more relaxing experience as they travel aboard their yacht. 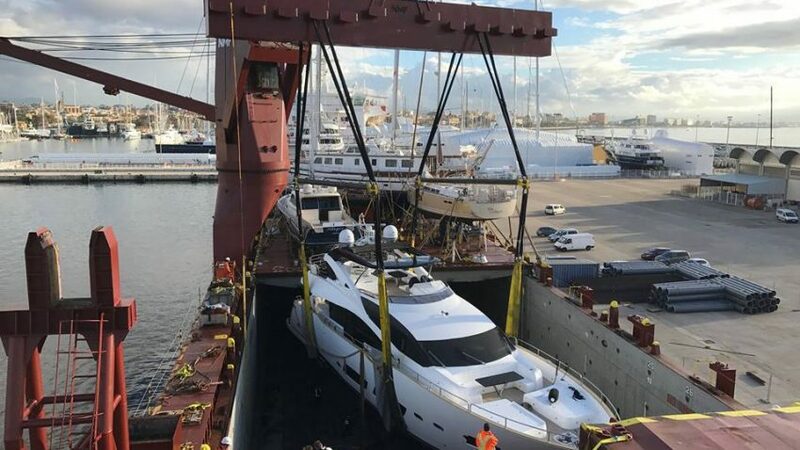 Boat transport costs often add up to less than if yacht owners sailed their yachts on their own and can increase safety when sailing in foreign waters. Another safety precaution that can be invaluable to sailors is to consider doing extensive research on the area that they will be traveling to before embarking on their overseas excursion. Additionally, be prepared with all of the necessary paperwork can ensure a smooth and successful voyage. When deciding to embark on a journey sailing through foreign waters, vessel owners have two options. One is to set sail on the seas as their own captain and make sure they are prepared as possible for any hang-ups that may take along the way. Another option is to ship their yacht with a qualified yacht transport company. Choosing this option allows the boat owner to ride along the vessel while it is in transport, saving them the hassle of many navigating responsibilities. 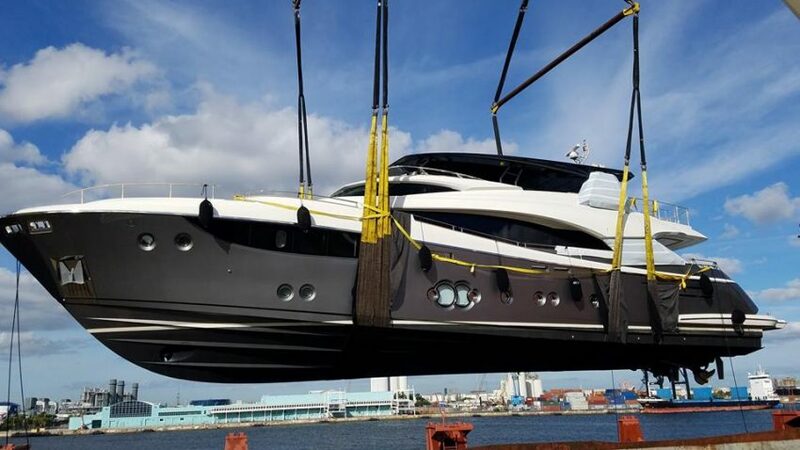 The staff with United Yacht Transport is highly qualified and skilled to ensure a safe and efficient boat shipping process. Additionally, we offer a safe boating solution for yacht owners ensuring their comfortability and security when traveling through foreign waters. If deciding to embark on a journey through foreign waters as the captain of your vessel and navigating on your own, there are many details to consider before setting sail. Before leaving for your overseas excursion, it is important to conduct thorough research of the area that you will be traveling to help you become familiar with the foreign bodies of water. Important details such as the language, ports along the way, navigation, and rules are a good thing to familiarize yourself within each nation. Boating rules are based on an etiquette expectation. Customs rules also vary and are very important. Making sure you are properly vaccinated to protect against any health threats of the area that you are traveling to is also another important aspect of preparation. When planning your route it is also important to plan your journey considering the customs offices along the way to properly announce that you are always arriving in a new country. Another important part of traveling abroad is ensuring that you are carrying the adequate paperwork with you in order to safely cross the borders in your vessel. In international waters dealing with authorities requires specific documentation depending on your situation. Some important documents to have updated and with you upon your vessel are passports, Visas, boat registration, insurance paperwork, and if applicable, the boat rental agreement, travel insurance documentation, boaters safety cards, and proper pet documentation for any animals traveling with you. In addition to making sure all paperwork is available, it is important to also have back up copies kept in a secure, waterproof bag in case of an emergency where the vessel becomes waterlogged. 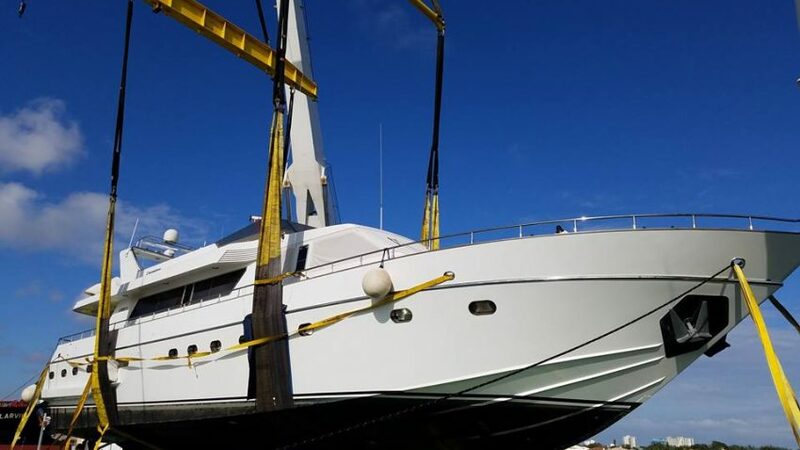 United Yacht Transport headquartered in Fort Lauderdale, Florida is a specialized yacht transport company who are highly skilled in helping you with all of your boat transport needs. Their global reach and knowledge experience have allowed them to build a comprehensive network of global agents and partners which help to streamline the process of shipping yachts abroad. United Yacht travels to destinations worldwide and can accommodate your schedule in a timely fashion. For a detailed breakdown of boat transport costs and a free boat shipping estimate, call our qualified staff today. We can help you decide if boat transport is the right choice for you. Any time you embark on the open waters, the best tips for protecting yourself in foreign waters is to be educated and prepared. For an enjoyable experience traveling abroad, call United Yacht Transport today.